Militants fired rockets and launched a ground attack on NATO's main base in southern Afghanistan, just days after a similar assault on a major military installation near Kabul. There were a number of injuries in the attack on Kandahar Airfield on Saturday evening and a security lockdown was swiftly enforced as the militants tried to get inside the sprawling base. Militants fired five rockets in the assault, Afghan contractors working on the base said, with one landing near a shopping strip and another near a helicopter landing zone. "We are currently under ground attack," said airfield spokesman Major Brian DeSantis, adding that he had heard no small-arms fire. 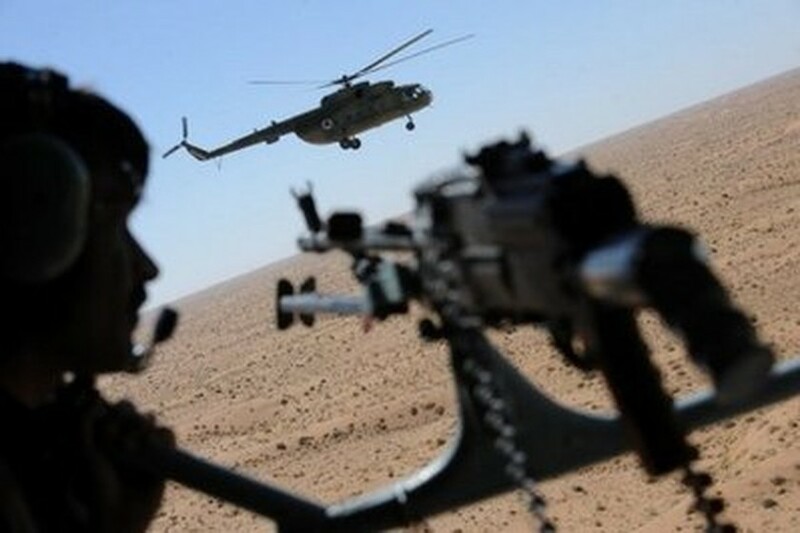 A transport helicopter lands in Kandahar, southern Afghanistan. Militants have fired rockets and launched a ground attack on NATO's main base in southern Afghanistan, just days after a similar assault on a major military installation near Kabul. A base spokesman later added: "A number of insurgents were attempting to enter the base on the north side. They were repelled by security forces. "A number of ISAF personnel and civilian workers have been injured and are receiving medical treatment. There are no confirmed fatalities." The International Security Assistance Force (ISAF) is the NATO-led mission helping fight an increasingly deadly Taliban insurgency in war-ravaged Afghanistan. Kandahar Airfield is the main base in the area for troops fighting the insurgency, which is concentrated in the southern province of Kandahar. It houses around 23,000 personnel. The base regularly comes under rocket fire and all personnel are ordered to take cover until an all-clear is sounded. It sits on the edge of Kandahar city, the provincial capital, where Taliban are digging in as US, NATO and Afghan troops build an operation aimed at squeezing the militants out of their spiritual home. The attack came as Britain's new foreign minister William Hague met President Hamid Karzai in Kabul. "We are urgently taking stock of the situation, but in the sense not of deciding whether to support that strategy but of how to support that strategy in the coming months and years," Hague told reporters. The attack in Kandahar was the third on international forces in a week after a suicide attack in the capital on Tuesday and an attack on Bagram Airfield, about 60 kilometres (35 miles) north of Kabul, the following day.